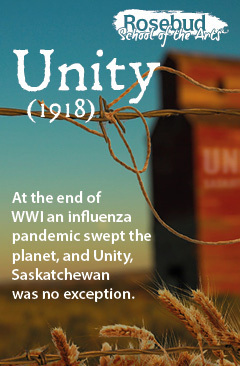 Based on the true and devastating history of Unity, Saskatchewan, Unity (1918) follows a town’s slow and uneasy descent from hope to despair. Joyous and optimistic as the Great War draws to a close, the small town is abuzz, never suspecting that, onboard the train with the returning soldiers follows an invisible viral killer. Despondent and wallowing or aggressive and livid, the townsfolk are picked off just the same, as Unity (1918) examines the human response to a danger unable to be controlled. Adult $20. Youth $15. Groups (20+) $15. 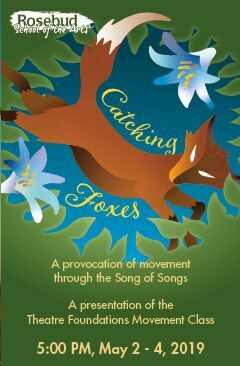 Catching Foxes is a presentation of the RSA Theatre Foundations Movement class under the guidance of Julie Funk. Through experimentation and exploration of various physical patterns and using the imagery and poetics from the Song of Songs, these students have devised a movement score telling the tale of how we out-witted the troubling foxes in our lives and allowed our hearts to be set free - our enemies become our allies. Run time for Catching Foxes is 45 minutes.